There's much to do at Lake House and in the surrounding region. The Daylesford Village is a short stroll from the hotel and is home to an eclectic mix of interesting galleries and lovely boutiques. Explore a little further and you’ll find farm gates, markets, cellar doors and more. For those who like a bit more activity there’s plenty of options including golf, horse-riding & fishing. Back at Lake House spending a blissful couple of hours in Salus Spa is a must and a tasting menu in the award winning restaurant is not to be missed. Interact with like-minded foodies and learn from some of Australia’s best & most interesting chefs, producers, growers & winemakers. 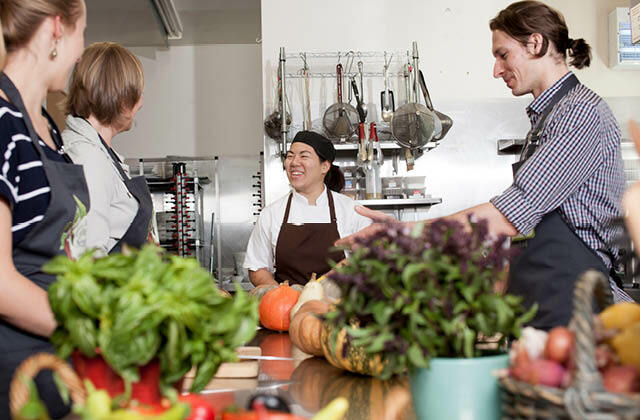 Our calendar of demonstrations and Masterclasses are held in the purpose built Cooking School kitchen at Lake House and scheduled most weekends throughout the year. Other culinary experiences are available on demand for a minimum of 10 guests which includes the following activities Cooking Demonstration with a Lake House Chef, Culinary Forage & Feast and Pizza Olympics. Take a tour of a working art studio in the grounds of Lake House- open by appointment. Lake House proprietor and resident Artist, Allan Wolf-Tasker work has always drawn inspiration from many different fields. He is represented in public and private collections worldwide. 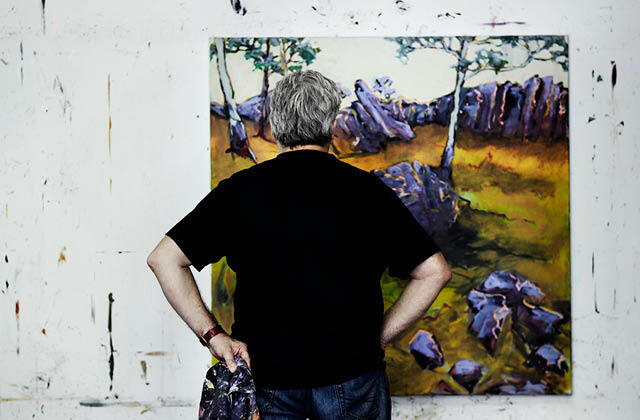 His recent exhibition at Lake House is “Landscapes of Daylesford” which reveal a return to the landscape – strong aerial views of coastal waters and also the creek beds throughout Daylesford and spa country. 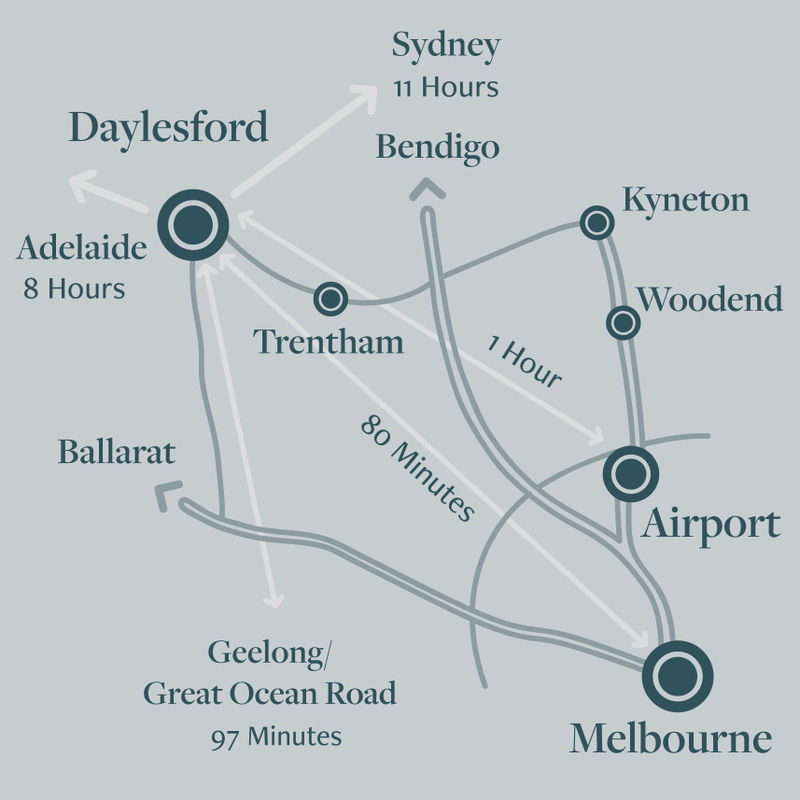 Allan’s books Lake Daylesford & Landscapes of Daylesford are available to purchase from reception. $30 each. To request a private viewing of Allan’s exhibition or to book a studio appointment, contact our Reservations Team on 03 5348 3329 or click below. Set amongst the lush country gardens of Lake House; Salus is its own oasis of blissful tranquillity. Named for the Latin acronym SPA (Salus Par Aqum) Salus simply means health through water… a fitting theme for a spa set in the home of Australia’s largest number of naturally occurring mineral springs. The focus here is on hydrotherapy, rejuvenating massage and high performance beauty treatments utilising the premium Elemis products. 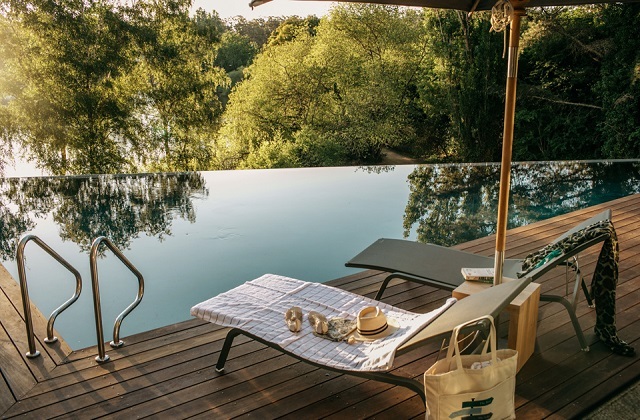 In warmer months, our infinity pool and adjoining relaxation decks offer some of the best views over Lake Daylesford and are a favourite spot for our in-house guests. 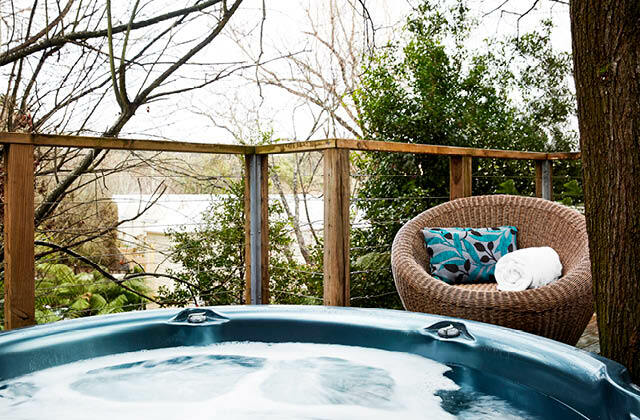 Salus Spa features an outdoor sauna & jacuzzi for guests to use at their leisure – perfect for warming up on a cooler day. No booking required. 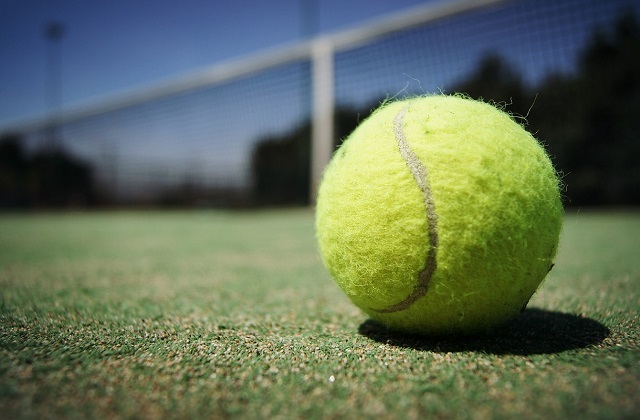 For guests who like to work up a sweat we can provide racquets and balls to use on our tennis court. Once you’ve worked up a sweat you can enjoy refreshments in the courtside pavilion. 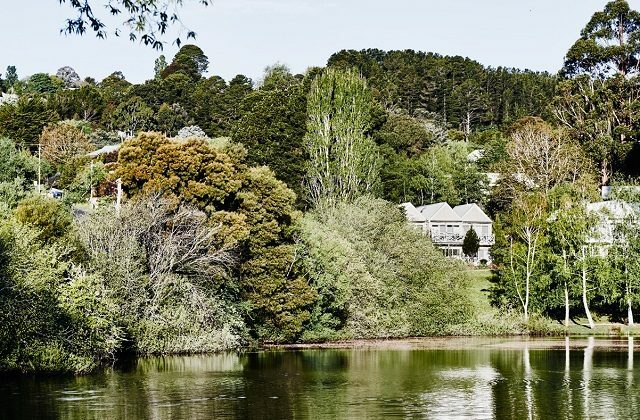 Stroll around Lake Daylesford on the Peace Mile Walk and enjoy the picturesque scenery and tranquillity. Longer walks on tracks through the forest yield encounters with an abundance of Australian animals including wallabies, wombats and kookaburras. The perfect way to work up an appetite. Meet the makers behind the labels. Let Clay Watson take you through his extensive choice of the best regional drops and introduces two of the best local makers in the area. 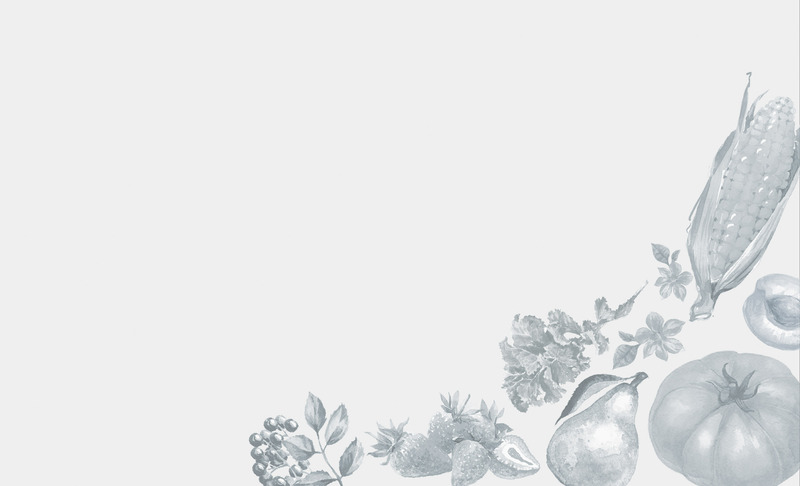 An informal yet informative afternoon featuring tasting sessions with the makers, discussing each of their varieties whilst sharing with you their own personal wine, cider, spirit or liqueur making techniques and stories. To book your boutique winery tour experience, contact our reservations team on 03 5348 3329 or at reservations@lakehouse.com.au. Cider Tasting at Daylesford Cider Co.
Visit the orchards and the cider mill to learn about the English heritage apple varieties, see the actual equipment and get an overview of cider-making. 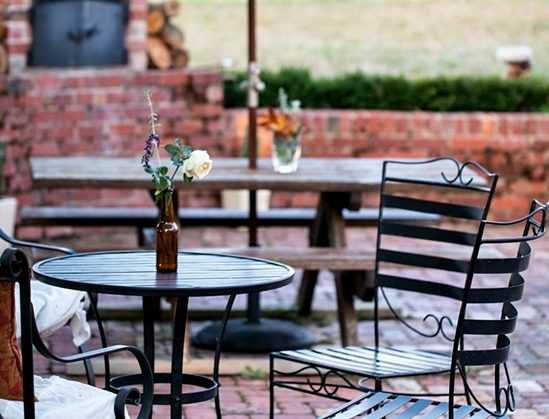 Enjoy the private tour and private cider tasting workshop of Daylesford Cider Company’s full range of award-winning ciders to finish with a cup of coffee or tea. What’s more- get to take home a personalised bottle of cider as your personal souvenir. Subject to availability and advance booking is required. contact our reservations team on 03 5348 3329 or at reservations@lakehouse.com.au. To book your cider day tour and tasting, contact our reservations team on 03 5348 3329 or at reservations@lakehouse.com.au. 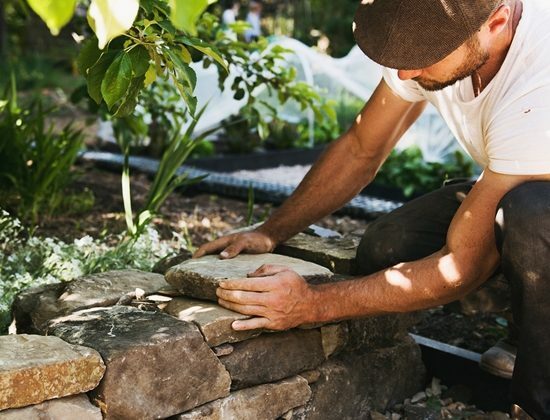 Learn the art and craft of dry stone walling, lettering & carving with Daylesford’s esteemed stonemason, dry stone waller and artist Josh Bowes. Lettering & carving workshop includes hands-on lettering and carving of your own piece, lettering and carving kit 4mm and 8mm carbide tungsten stone lettering chisels and metal mallet. To find out more about Josh Bowes, contact our reservations team on 03 5348 3329 or at reservations@lakehouse.com.au. The zoo comes to you! 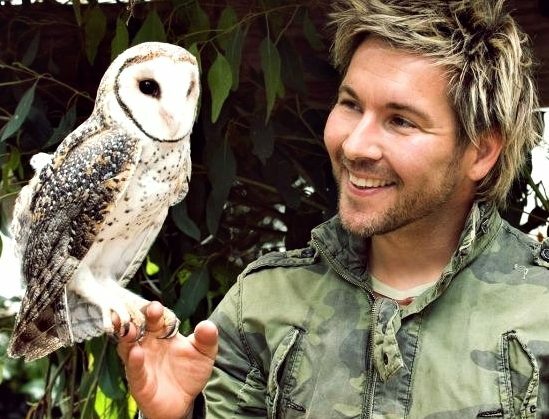 Imagine having a live koala, endangered tiger quoll, laughing kookaburra, eye-licking leaf-tailed gecko and several owl species right in front of your doorstep. Learn all about each animals ecology – where it lives, why it looks the way it does and what it eats. Plus, photo opportunities abound! (All animals are safe and amenable to handling.) 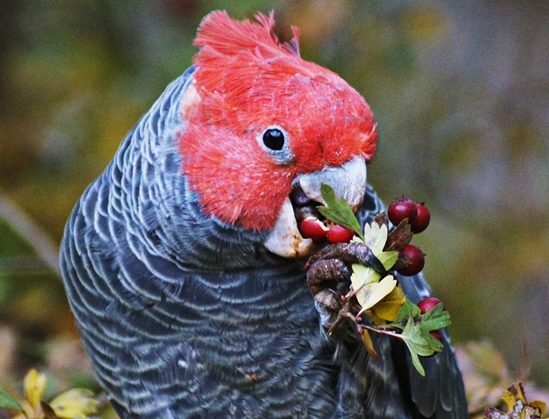 Founded by Melbourne University Zoologist Chris Humfrey in 1994, Wild Action Team is dedicated to promoting environmental awareness and showcasing Australia’s rich biodiversity. Subject to availability and advance booking is required.  contact our reservations team on 03 5348 3329 or at reservations@lakehouse.com.au. To book your mobile zoo experience with Chris, contact our reservations team on 03 5348 3329 or at reservations@lakehouse.com.au. Join Natasha at Oak and Monkey Puzzle for an exploration of the inspiration behind this beautiful landscape architect designed garden with its productive focus. 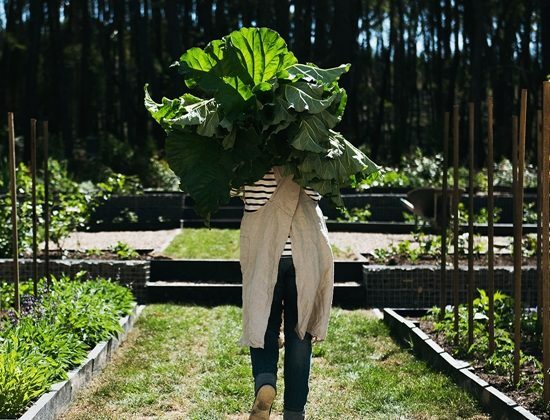 Natasha will share the inspiration and vision behind the garden and guide you through its ornamental garden, orchard, birch forest, meadows, mini market garden, cut flower and kitchen gardens. Morning or afternoon tea provided. Champagne on arrival can be tailored upon request. To book your Oak and Monkey Puzzle tour, contact our reservations team on 03 5348 3329 or at reservations@lakehouse.com.au. If you seek a more internalized approach to the Martial Arts, local Master Diederik Haneveld is offering his 30 years’ experience with private tutorials for Lake House guests. By definition, Tai Chi means “Grand Ultimate” and is considered so by many Martial Arts practitioners, worldwide. Less dynamic than the external arts, Tai Chi fosters balance, stability, patience and awareness on a road to what is known as “True Power”. 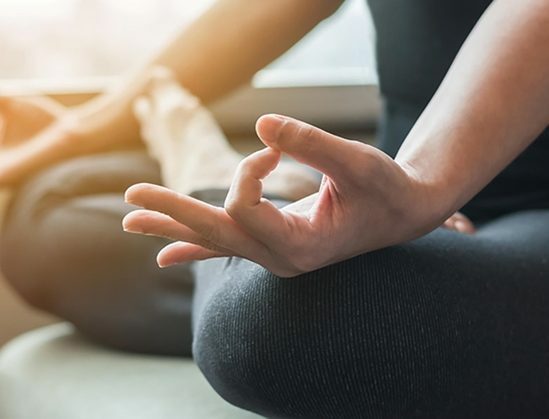 Classes for beginners are designed to teach the fundamental principles surrounding Tai Chi, including Chi Kung breathing exercises and still and moving meditation. 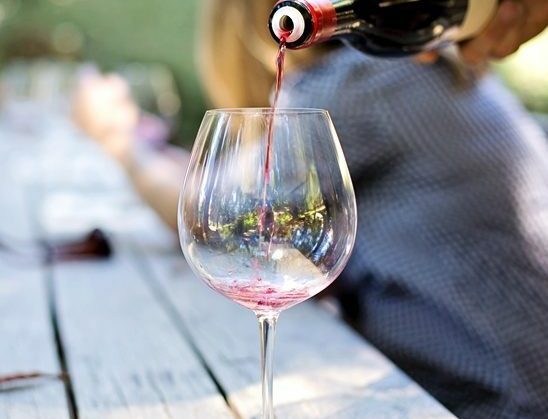 To book a class, contact our reservations team on 03 5348 3329 or at reservations@lakehouse.com.au. A private tutorial either in the comfort of your own room or by the misty lake shore. Your session will be tailored depending on your previous experience, current lifestyle and interest level. You will truly understand what is meant by the saying “yoga is the breath of life”. To book your yoga experience, contact us on 03 5348 3329. The magical light in our beautiful region is often remarked upon by visiting photographers and avid lovers of art. Take a photography workshop with New York born, Daylesford based Anthony Scibelli. In this 2 hour session you can concentrate on nature, still life, sharpen your technique or composition capabilities. Suitable for anyone from beginner to advanced. Let Anthony guide you through our beautiful village & surrounds as you learn to be a keen observer through a lens. To book your time with Anthony, contact us on 03 5348 3329. Indulge your passions with a private tour specifically tailored to your interests by Hidden Gems. Suggested activities are bird watching, wildflower discovery, 4×4 tour around gold history relics and ruins, wildlife photography, and private picnics in secluded bush settings. Drop off and pick up from Lake House are included. Subject to availability and advance booking is required. 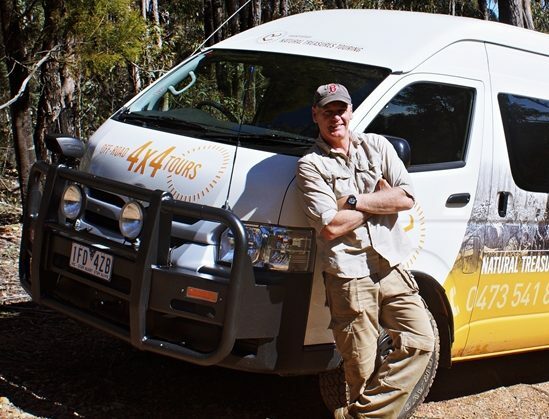 To book your 4×4 tour with Glenn Webster, contact our reservations team on 03 5348 3329 or at reservations@lakehouse.com.au. Enjoy the thrill of the hunt using a Garmin GPS unit, intuition and a GPS Treasure Hunt Search Log to fill in as you find each of the ‘treasures’. 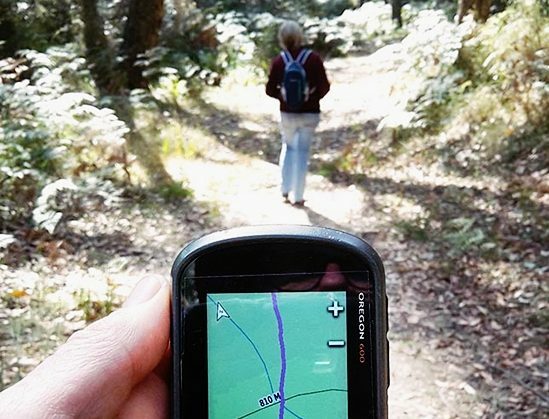 Stroll around the lovely Lake Daylesford with a Lake House SmartBottle filled with 100% pure Daylesford mineral water as you seek out and find ‘caches’ around the lovely Lake Daylesford. Subject to availability and advance booking is required. To book your Secret Forest Walk experience, contact our reservations team on 03 5348 3329 or at reservations@lakehouse.com.au.